The goal of this research is to study the change in plant growth and species distribution during succession. Annual plant growth above ground is annually sampled in more than 20 fields from 4 permanently marked 3m x 4m plots in each field. 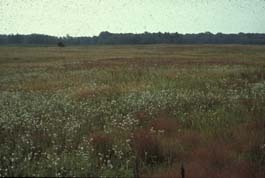 These fields were previously cultivated, but then abandoned from agriculture at various times in the past. 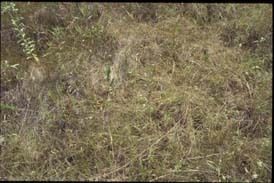 The fields were left undisturbed for plants to develop from seeds within the soil or brought into the fields by wind or animals. 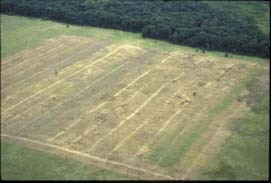 The fields included in this study are 4, 5, 10, 24, 26, 28, 35, 39, 41, 45, 53, 70, 72, 77 and the Lawrence strip that was abandoned in 1988. This experiment was started in 1988 by lead investigators David Tilman and Johannes Knops.